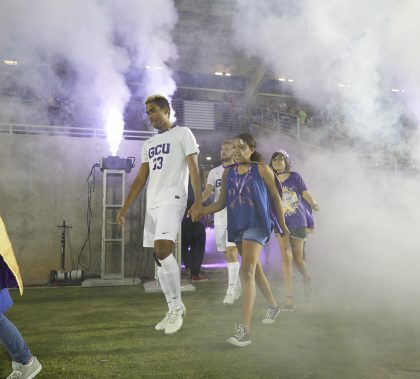 Photos by Travis Neely GCU News Bureau The 2018 Run to Fight Children’s Cancer kicked off with Run to Fight Night on Friday, in conjunction with the Grand Canyon University men’s soccer game. The cancer-fighting superheroes got to participate with the players in the pregame ceremonies and play on the field at halftime and after the game. 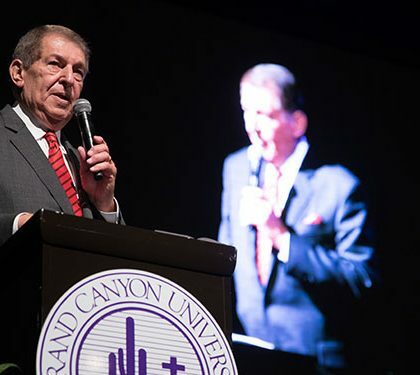 “A Night to Honor a Legend,” a dinner to honor Jerry Colangelo on the eve of the opening of his new museum on campus, brought together more than 400 people to celebrate his influence on Grand Canyon University, the Valley and the sports world. “We’ve been incredibly blessed by his presence here,” GCU President Brian Mueller said. 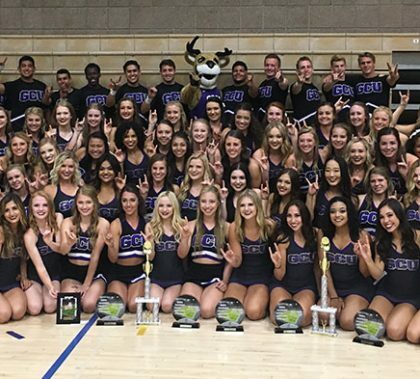 Grand Canyon University enjoyed unprecedented athletic success during its transition to NCAA Division I, and now it gets really fun. The Lopes are off probation and are fully eligible for postseason tournaments. The cover story of GCU Magazine examines how the program got here and what the mood is going forward. 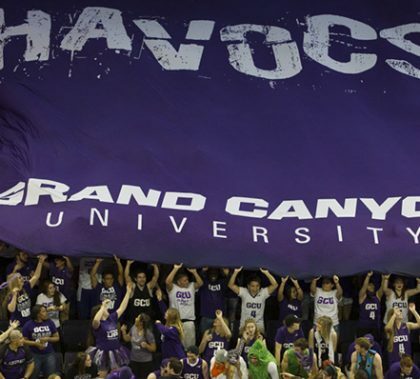 The Havocs aren’t a secret anymore in college athletics. 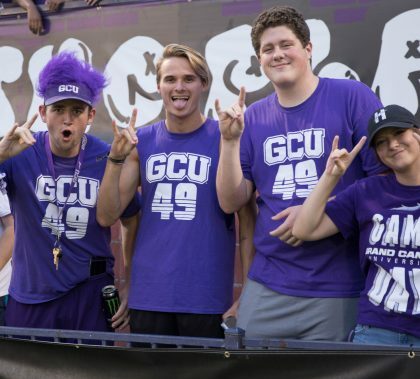 But the student cheer section is even more fired up, hard as that is to believe, about Grand Canyon University’s first year of NCAA Division postseason eligibility. 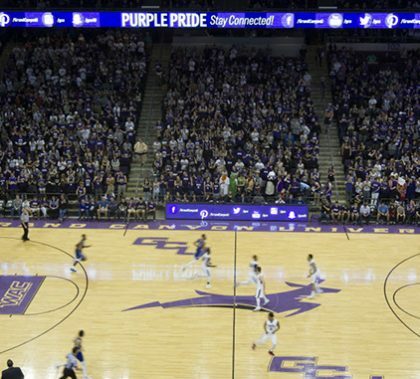 When GCU plays St. John’s on Dec. 5 in the Valley of the Sun Shootout at Talking Stick Resort Arena, it might be a sign of things to come. 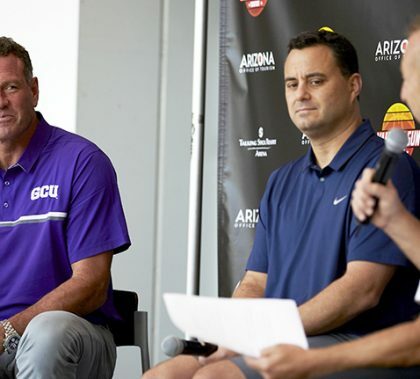 As the basketball program keeps growing in stature, occasional games at the downtown Phoenix arena could be a way to attract big-name teams – and Coach Dan Majerle said at a press conference Wednesday that he certainly is open to the idea. Registration is open for the GCU Summer Soccer Camps for boys ages 6-18 and girls ages 6-15, the first of which is scheduled for June 5-9 on campus. 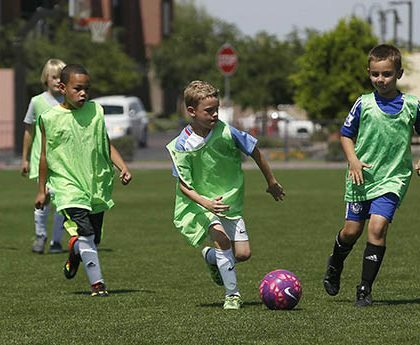 Camps are offered to a wide range of ages, and all are at GCU campus fields. The 2017 camp season begins with the opportunity to train alongside GCU players, men’s coach Schellas Hyndman, his staff and volunteers. 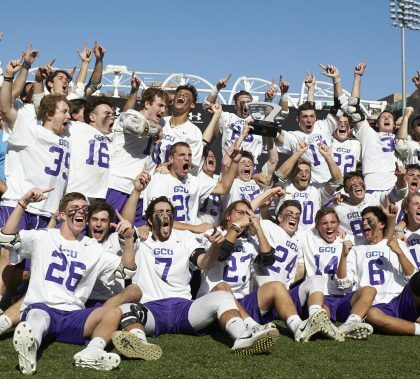 Photos by Travis Neely GCU News Bureau For the second time in three years, Grand Canyon University is the Division I champion of the Men’s Collegiate Lacrosse Association. The Lopes defeated defending champion Chapman 12-8 Saturday at Orange, Calif., in the title game. 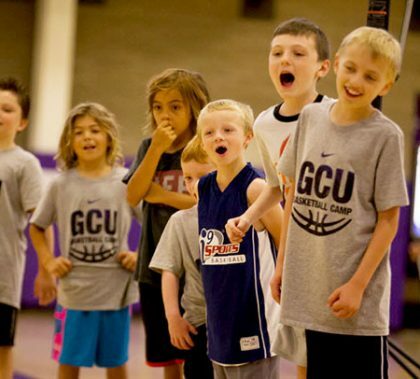 Signups for the GCU Men’s Basketball Camps are rolling in again this year. Boys ages 6-14 get four days of instruction and fun in great facilities.